The highway splices through the heat and sand of Israel's Negev desert. To one side a train gleams in the sun as it weaves through a picturesque landscape of red rocks. To the other, a barbed-wire fence edges the road. Security cameras monitor traffic. Signs posted every few hundred meters warn drivers not to stop their vehicles under any circumstances. A few miles from here, a defunct reptile farm still houses more than 1,000 crocodiles, even after a court ordered its closure three years ago. The facility bred the fearsome creatures as a tourist attraction, and to sell their skin for purses, but was forced to close after dozens escaped into the desert and emerged in nearby towns and kibbutzes. The roadside security, however, is not a precaution against prowling crocs, some of whom are believed to still be at large. Rather, it is a precaution against prying eyes. Although Israel has never formerly admitted possessing nuclear weapons, here, deep in the desert, a cache of some 100 nuclear warheads — estimates range from 50 to 400 — are believed to have been produced in one of the world's most talked-about "secret" facilities. While some of the complete weapons are reported to be stored in airbases across Israel, there is also speculation that others may have been used to equip missiles aboard nuclear-capable submarines Israel bought from Germany. The remainder are believed to be still stored in the underground Negev facility, where a nuclear reactor is still in operation. At the site of Israel's alleged nuclear facility, which includes a working nuclear reactor, in the Negev desert. Israel first began investigating the possibilities of going nuclear shortly after David Ben Gurion founded the state in 1948. The fledgling country's first prime minister was reportedly obsessed with nuclear weapons to act as a fail-safe against a second Holocaust and attack by neighboring Arab states; and it was under his stewardship that a program to recruit Jewish scientists from abroad, and a geological survey of the Negev as possible nuclear site, first began. By the mid-1950s secret plans to build a reactor and reprocessing plant were underway in earnest, and in December 1966, just a few months before the start of the Six Day War, the first three weapons are thought to have been assembled, making Israel the world's sixth country to become a nuclear power -- and the only at the time that was not a major power sitting as permanent member on the United Nation's Security Council. The tale of Israel's secret nuclear journey is the stuff of spy thrillers, and there is no shortage of James Bond-style figures featured in it. A star role in the story goes to agents from a special unit called LEKEM — a Hebrew acronym for the Science Liaison Bureau — who developed an international network of contacts and moles who helped provide the components needed to make Israel's nuclear dream come true. Among the most high-profile of the spies was Arnon Milchan, a Hollywood billionaire who produced hits such as Pretty Woman, Fight Club, and Mr and Mrs Smith. Milchan, who later confessed his involvement in spying activities to buddy Robert DeNiro, was reportedly recruited to the infamous LEKEM unit by then-deputy Defense Minister Shimon Peres, who later became Israel's president, after a chance meeting in a Tel Aviv nightclub. The producer then used his influence to reel in sources, among them top US nuclear scientist Arthur Biehl, who was wined and dined by the producer, who introduced Biehl to his superstar friends and put him on the board of one of his companies. Other examples of Milchan's capers include making copies of centrifuge blueprints a German executive had been bribed into temporarily "mislaying," and using connections in South Africa's apartheid regime to help secure uranium for Israel. In a 2013 "confession" interview with Israel's Channel 2, Milchan — who at his peak operated 30 companies in 17 countries and also helped Israel run arms — described his days in the Mossad, Israel's external intelligence service, as "fun," "exciting," and like a real-life "James Bond movie." Another mindbogglingly brazen LEKEM sting was the theft of weapons-grade uranium from the US. The operation is believed to have involved Rafael Eitan, a high-ranking Mossad agent, who visited the Pennsylvania facilities of the firm it was stolen from posing as an Israeli government chemist. But despite the daring actions of individuals, Israel's nuclear ambitions are unlikely to have ever been realized without the state-level complicity of other countries. Among them are European countries which today are some of the fiercest opponents of nuclear proliferation, including Britain, France, Germany, and Norway. Leading the way were the French who, having failed Israel in a pact over the Suez Canal after being pressured by the US administration of President Eisenhower, instead decided to sell the young Jewish state crucial components for developing a bomb, including a nuclear reactor and a reprocessing plant capable of separating plutonium from spent reactor fuel. Indeed, cooperation between the two countries on the clandestine project went so deep that according to reports by investigative journalist Seymour Hersh, during the 1950s more than 2,000 French citizens, including engineers and scientists, were living in the nearby town of Dimona and helping to build the facility. Another crucial component was procured from British authorities, who were willing to sell Israel leftover heavy water, some 20 tons of it, from a supply it had bought from Norway. The deal, which was revealed in a BBC Newsnight documentary in 2006, was run through a Norwegian front company, Noratom, and the British government later admitted that its intelligence service had known that the heavy water buyer was Israel. Both countries effectively decided to turn a blind eye to a purchase that was a strong indication Israel was developing nuclear weapons, since heavy water can be used to make plutonium. Meanwhile, a powder used to process uranium ore known as yellowcake was sourced from a host of countries, including apartheid South Africa, which in the 1970s was trying to develop its own bomb and traded the substance in exchange for insider knowledge on building nuclear weapons. Another 90 tons are thought to have been brought in by boat from Argentina to Israel between 1963 to 1966. But perhaps the most elaborate ruse of all involved Mossad agents buying uranium ore, a substance needed to produce plutonium, from a Belgian mining company under the front of an Italian business dealing in chemicals. The shipment, which is the subject of three books, then disappeared into the hands of an Israeli crew at a port in Antwerp with the help of German officials. At times the plot descended into the realm of the farcical. By the early 1960s the proverbial (nuclear) cat was out the bag and the Americans were asking questions about the mysterious desert compound. In one incident the US ambassador to Israel, Ogden Reed, asked an Israeli official about the construction below during a helicopter ride over the northern Negev. The now-infamous reply of his companion was that it was a "textile factory." 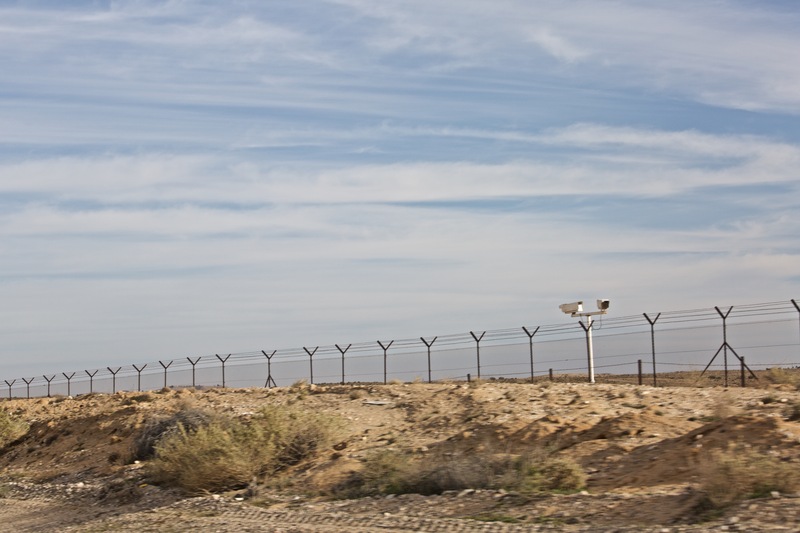 On other occasions the Israeli government attempted to pass the nuclear site off as project for developing agriculture in the desert, and attempts by the US to conduct inspections of the facility were effectively blocked by Israeli security services. According to one account by Mossad agent Eitan relayed to British writer Gordan Thomas, among the outlandish schemes used to hide the facility from inspectors was a "bogus control center built over the real one… complete with fake control panels and computer-lined gauges that gave a credible impression of measuring the output of a reactor engaged in an irrigation scheme to turn the Negev into a lush pastureland." Another version of the "no-nuclear-weapons here" charade was assisted by France, which helped produce video footage of spent reactor fuel being loaded onto French jets, to be supposedly sent to France for reprocessing. The ploy, as reported in the Guardian, was used as evidence by Israel to support its claim that its reactor was not being used to make a bomb. Among the many absurd, but daring, elements of the scheme was its financing. According to a memoir written by former Israeli President Peres, he raised some $40 million, around half the price of the reactor, from "friends of Israel across the world," including American Jewish millionaires. Some of the donors were later reportedly given a tour of the complex. Another and surprising helping hand in the Negev nuclear program's development came about in the late 1980s and early 1990s, when the crumbling of the Soviet empire gifted around 40 of the USSR's top nuclear scientists to Israel, as Russian Jews emigrated en masse. Yet despite all the luck, ingenuity, and clever, if somewhat crazy, ploys, by 1968 the CIA — which had run spy planes over the Negev facility and eavesdropped on Israeli communications — was fully aware that Israel had nuclear weapons, and told the president. Fearing that other countries in the Middle East would also seek nuclear weapons, the Americans made a deal aimed at both ensuring regional stability and preventing other governments following suit. No formal transcript of the agreement or conversations surrounding it have ever been published, but according to Avner Cohen, an Israeli-American historian, in 1969 President Richard Nixon and Israeli Prime Minister Golda Meir struck a pact: Israel would not test its nuclear weapons or admit it possessed them, and in exchange America would not pressure Israel to sign the Non-Proliferation Treaty and would halt its attempt to inspect the Negev facility. In essence the deal, which became known as a policy of "nuclear ambiguity," amounted to little more than a de-facto complicity from the US to stay silent on the matter: "If you don't say anything we won't either." Today, leaked photographs, biographies of spies, declassified state files, investigative reporting, and entire books on the topic have allowed details of Israel's nuclear program to be slowly pieced together by the outside world. However, officially the veneer of secrecy around the program is still maintained, not just by Israel, but also by Western governments, including the US. Contacted by VICE News, Uzi Eilam, the retired head of Israel's Atomic Energy Commission (IAEC), which he led for more than a decade, was more than cagey about the issue of Israel's nuclear arsenal. "This is not a topic for conversation. It's better that you forget it," Eilam said by telephone before abruptly ending the call. A request for comment from the IAEC itself was met with a simple reply from a spokesperson that the commission "would not help." A strong sense of secrecy does remain. In a 2014 article for the National Interest, Paul Pillar, a former US national-intelligence officer for the Middle East, argued in careful terms that the secret is so not a secret anymore that it may be time to admit it, and criticized America's ongoing adherence to the so-called "nuclear ambiguity" policy. On the Israeli side, violations of the code of silence have been treated exceptionally seriously. In 1986 Mordechai Vanunu, a former technician at the Negev facility, was kidnapped by Mossad after he sold exclusive photographs and details of the weapons program to British newspaper the Sunday Times. Lured to Rome in a honey-trap sting led by Israeli agent Cheryl Bentov, who masqueraded as an American tourist called "Cindy," Vanunu was injected with a paralyzing substance then transported back to Israel via speedboat and merchant ship. Once back home he was sentenced to 18 years in prison for treason and espionage. Some of these thriller-esque twists and turns, have been deadly. In 1973 a Libyan Arab Airlines plane was shot down as it approached airspace over the Dimona facility. Later, it emerged that the jet had strayed off course due to a combination of bad weather and technical difficulties, but the Israelis took no chances and 108 of the 113 people onboard were killed when the plane came down. In another incident, during the 1967 Six Day War, a damaged Israeli fighter jet was also shot down near the plant after being hit during a bombing raid over Jordan. Other close calls have come from rockets fired toward the facility by Palestinian militant group Hamas in 2012 and 2014. And in 2004 the authorities reportedly distributed potassium iodide anti-radiation tablets to thousands of residents living nearby as precautionary measure amid safety concerns about the facility's 40 year-old reactor. Five decades on from its inception, however, Israel's nuclear ambitions show no signs of dimming. In 2014 it was revealed that a four-year series of tests known as the "Green Field" project had been carried out in the Negev to assess the potential impact and damage of "dirty bomb" attack by enemies. According to information released last year the experiments involved 20 detonations carried out with between 250 grams and 25 kilograms of explosives combined with 99mTc, a common radioactive which substance which is used in the health care field for medical imaging. Locations of the tests included the desert and a mock shopping mall. For Dimona's residents, however, the nuclear weapons next door are just a fact of life and, for a small city of roughly 33,000 people, something of a source of pride. In his third floor office, Dimona's charismatic mayor Beni Bitton talks fondly of how the city he calls "the pearl of the desert" grew up "out of nothing around textile factories, the Dead Sea cosmetics industry and, of course, the nuclear center." Yossi Alon, 61, and a friend, both Dimona residents, reminisce about the heyday of Israel's Negev nuclear facility. Photo by Harriet Salem. To host the latter, he added, "[is a] great pride for the people of Dimona and show of Israel's strength." While Bitton won't reveal how many locals work in the Negev facility, he says it is a "significant number — thousands" adding that the plant is an "important employer" in a town suffering from high unemployment. Among the mayor's hopes are that army plans to relocate bases to the town will come to fruition, putting Dimona back on the map as the "center of the country's security." Outside, Yossi Alon, 61, sits in a sun-soaked cafe facing a small, picturesque fountain square. Sharing an afternoon beer with a friend, he chats cheerfully about the nuclear compound down the road. His family was one of the first in Dimona, he says, and he remembers when the "whole place was pretty much dust and desert." The development of the plant and the factories, all around the same time, changed that. "Hundreds of people came here, Dimona grew big fast. French scientists came to work — you could buy real baguettes and croissants at the bakeries." The leisurely duo, both retired, momentarily pause the chit-chat to order another beer and a snack of olives before sharing a short chuckle over the idea that the Americans once believed that they "had nothing here in the desert but a fabric factory!" The conversation moves amiably along. "Did you know there's a crocodile farm nearby?" asks Alon.